PRICED TO SELL! 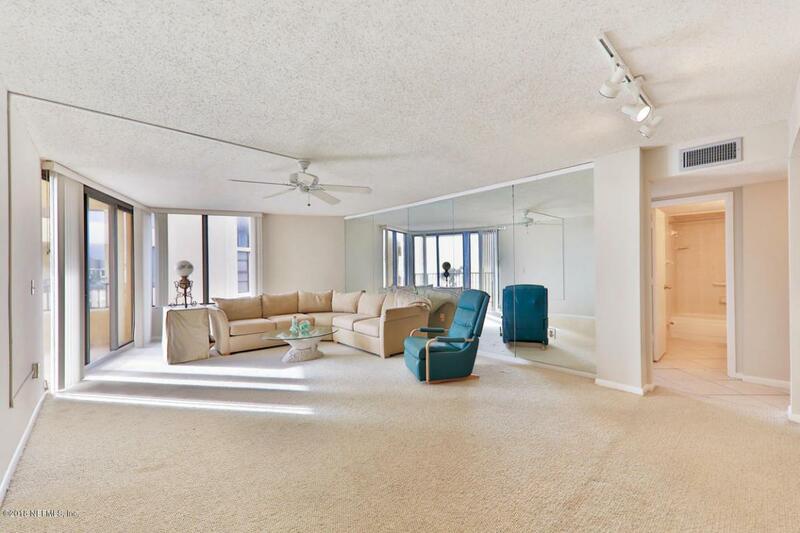 Sensational oceanfront condominium in quiet, residential section of Jacksonville Beach. 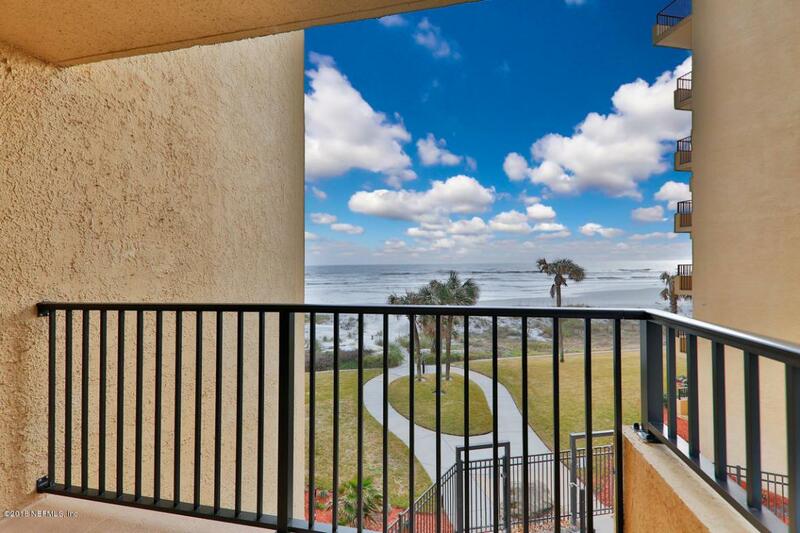 Enjoy beautiful sunrises on your private balcony! 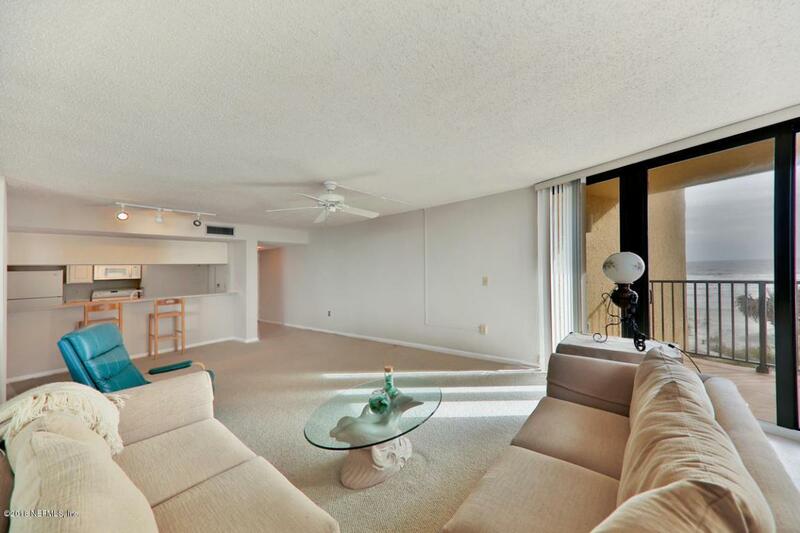 This freshly painted 3rd floor end unit offers 2 bedrooms, and 2 bathrooms. Kitchen is open to the living room. Master suite has private bath and custom cedar closet. Well maintained. New roof 2017, HVAC 2012, exterior spalling 2015, impact windows and sliding door 2006. Pet friendly building with 6 month minimum rental term. 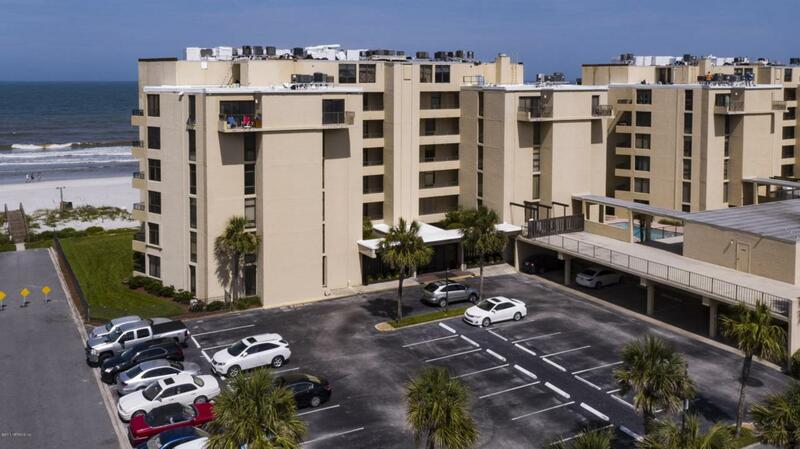 Secured access, amenities, and community beach access. Condo fees include water/sewer, exterior building insurance and maintenance, on site management, ext pest control, trash collection, community pool and clubhouse. Convenient to local boutiques, fine dining, Publix and Trader Joes.